Ronit Roy and Smriti Irani. Mumbai: The wait to see Mihir (Ronit Roy) and his wife (Smriti Irani) in one frame has been really long for their fans but it is definitely worth it. Indian Television’s most loved on-screen couple that ruled hearts from 2000 to 2008- Mihir Virani and Tulsi Virani- ran into each other yesterday and the picture from that meeting is sure to stir some old memories of ‘Kyunki Saas Bhi Kabhi Bahu Thi’. Produced by Ekta Kapoor-led Balaji Telefilms,‘Kyunki Saas Bhi Kabhi BahuThi’ was a rage back in its days and is still remembered as one of the best soaps to have come from the Kapoor camp. After a 8-year successful stint, the show came to an end on November 8, 2008. 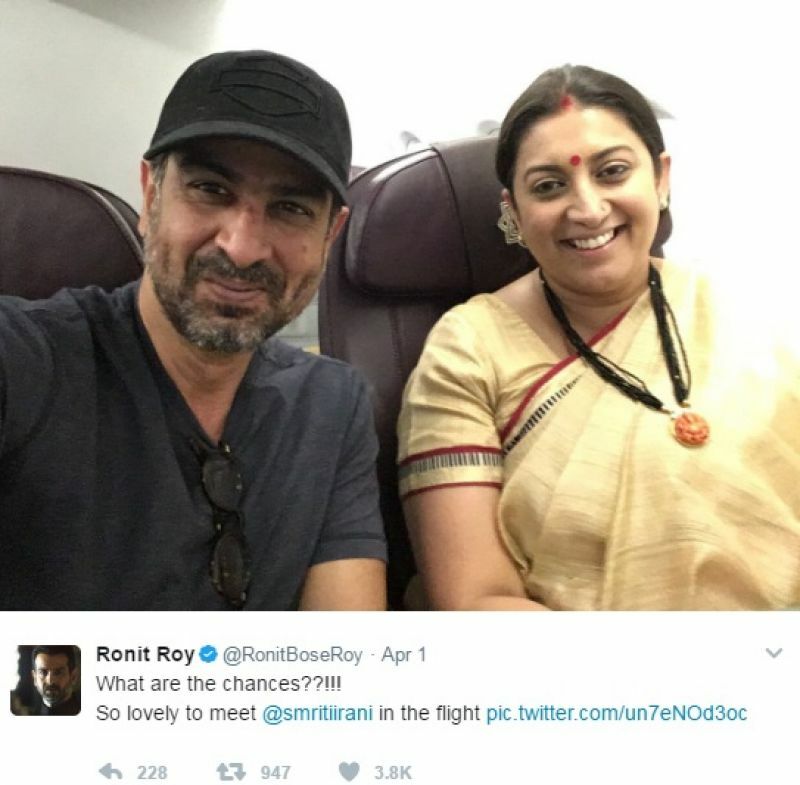 While Ronit Roy continues to act in both television series’ and films, Smriti Irani has taken up politics.